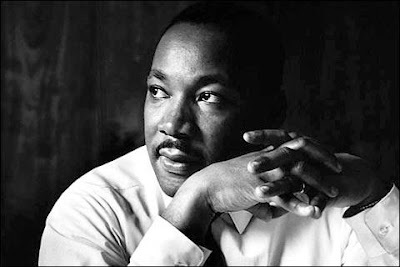 Forty years ago this last Friday, Martin Luther King Jr. was assassinated in Memphis, Tennessee. How might this world be a better place if he was still with us? The Chi-Lites - (For God's Sake) Give More Power to the People : (For God's Sake) Give More Power to the People 7"
The Impressions - We're a Winner : We're a Winner 7"
A great man, one of my heroes. The Nina Simone song is great, as always with her. I agree about Nina's song. I can't even imagine the the vibes in the room as she was performing it so soon after the event. Nina had such a strong sharp edge on her about the issue of racism. "Turning Point" is one of my favorites from her. So incredibly power through such deceptively subtle lyrics.